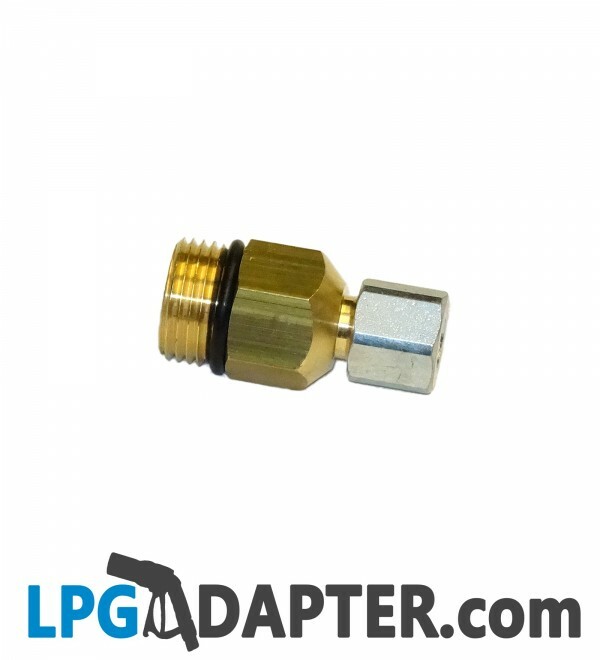 Use this LPG adapter to make connection between POL and Euro type Propane bottle valves and 8mm Flexi Autogas hose end fitting. Very usefull and with variety of applications this LPG Autogas W21.8 to 8mm COMPRESSION ADAPTER is our own design and allows connection between the POL & Euro bottle adapters and 8mm filling hose fitting. It was designed as part of LPG Autogas remote filling gas cylinder adapter kit and used for refilling standard calor gas and Euro type propane bottles. When in use, to stop LPG Flexi hose from twisting, crack open the 8mm end nut with spanner size 17.